I recently purchased a Yamaha FC7 Expression Pedal with the intention of using it to control various parameters on my Yamaha MM8 and Motif-Rack XS. However, it appears that there is no way for me to reassign the CC message it is sending via the settings on the MM8. In my current setup, I have the MM8 acting as the MIDI Controller for my Motif-Rack XS. I want to use the FC7 pedal to control different parameters such as modulation, chorus, and wah-wah, rather than as a standard volume pedal. I cannot seem to figure out how to set it up as such though. None of the parameters or settings I change on the Motif-Rack XS seem to change the FC7’s function. Am I correct in thinking that this is because I need to change the FC7’s function through the MM8? And if this is even possible? I looked through both manuals but could not seem to find what I needed. I apologise if my question is not clear and/or posted in the wrong place - I get pretty anxious posting on forums and my autism can sometimes make it hard for me to articulate my problems clearly. The MM6/MM8 have limited functionality in comparison to the Motif models. An FC7 connected to the FOOT CONTROLLER input of your MM8 can control only its volume. However, that doesn’t necessarily mean the Rack XS would be limited to control of only that function. You said “None of the parameters or settings I change on the Motif-Rack XS seem to change the FC7’s function.” Does that mean operating the FC7 is currently affecting Volume of Rack XS Voices? (If so, it should be possible to reassign that control to other functions.) Please let us know, and we can further discuss what might be possible. That is correct. When using the FC7 out of the box with the MM8 and Motif-Rack XS it is affecting the volume of the voices on the Motif-Rack XS. I’ve tried going into UTILITY > CONTROLLER and setting the FC 1 Ctrl No. and FC 2 Ctrl No. to numbers such as 4, 12, and 13 but none of them alter the pedals function. but this also seems to have no effect. The FC7 pedal seems to only want to alter the volume and nothing else so I’m a little puzzled. It’s likely that the MM8 is sending CC#7 MIDI Channel Volume messages when the FC7 is operated - the other possibility is CC#11 Expression. Either of those messages main function can’t be overcome on the Rack XS, even if they are also assigned to other functions via the Controller Set. If the XS was receiving Foot Controller messages from the MM8 via CC#4, there wouldn’t be a problem. Since the MM8 can’t be programmed to do that, an external approach is necessary. A MIDI event processor can reassign (map) the message coming from the MM8 to a CC#4 one. I have no connection with the company. The product is available from several suppliers. You’re welcome! Let us know how you make out. Thank you for the help and recommendation! I’ll be sure to let you know how things go. Is there any alternative to a “MIDI Event Processor” that I could try? I thought it best to ask before purchasing. If not, do you know of a cheaper alternative under a different name? I’ve tried looking around, but have not had much luck. Thank you again for the help and recommendation - I greatly appreciate it! Perhaps. If your computer runs a version of Windows, and the Focusrite interface MIDI-In and MIDI-Out ports are accessible to computer applications, then you might be able to use software to accomplish CC remapping. For example, MIDI-OX (http://www.midiox.com/) has the capability of doing MIDI Data Mapping. Thank you for all of the help you have provided. I’ve given the software you linked a look, and it appears that it is capable of detecting all of the data input from my Interface, Controller, and Pedal, etc. However, I’m struggling to figure out how I can map the pedal to send a different message. 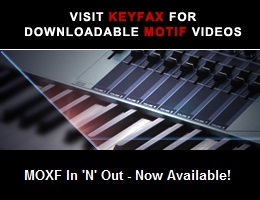 Have you actually installed MIDI-OX? If so, were you able to select the Focusrite interface as a MIDI Input and MIDI Output under MIDI Devices? Assuming yes, when the MM8 is played can you see data on the Monitor? Click menu Options > Data Mapping. That opens the MIDI Data Mapping Translation Map, where CC#7 messages can be remapped to CC#4. Note that rather than “Insert”, you’d probably want to “Edit” the default entry. Please feel free to ask any questions needed to clarify this, including values to choose for the Map, etc. Sorry, I should have clarified - that is indeed correct. I have downloaded MIDI-OX and it seems to be detecting everything I have connected. I can also see the MIDI On/Off messages being sent when notes are depressed on the MM8. I think I have successfully routed the MIDI CC#7 and CC#11 messages to be sent as CC#4. However, I appear to have encountered a few new problems. The first of these is that the FC7 Pedal appears to be overloading my MIDI. When I depress the pedal back and forth quickly whilst playing notes a long latency starts to be introduced. I have noticed that the FC7 pedal is transmitting MIDI data across multiple channels, and I have tried to disable those channels (as I am currently only using MIDI Channel 1), but it hasn’t resolved the issue. The second problem I have encountered is that When I open my DAW software (Reason 9) I cannot seem to find a way for Reason to recognise or use MIDI-OX or its settings. It appears Reason is bypassing the changes I have made in MIDI-OX and simply treats the input being received from the FC7 pedal as volume control again. I apologise if this is in anyway frustrating - sadly I am not too knowledgeable on working with MIDI outside of the basics. Thank you for your continued support though, you have definitely helped me get much further with the issue so far! I’m not frustrated by this. I understand that trying to resolve problems via text messages can sometimes be a long process, but I usually will continue until either the problem is resolved or there are no more options. So please don’t be concerned. Let’s try to initially work on the first problem. Using MIDI-OX, if you just move the FC7 to a small degree, what messages does the Input Monitor show? I’m interested in the STATUS, DATA1, DATA2, and CHAN columns. STATUS will be B0 for a CC on Channel 1 - if the incoming message is on other channels, STATUS will be B1 for Channel 2, etc. DATA1 will be 07 for a CC#7 message - it’s 0B (hexadecimal) for CC#11 if such a message is sent. DATA2 is the value the controller is outputting - it can range from 00 (hex, which is 0 decimal) to 7F (hex, which is 127 decimal). If you can attach a screen capture of such messages to your post, that would probably be easiest to deal with. Once we make the above determinations, the next step to take should be more apparent. I’ll stick with you as long as you’d like to pursue this. Thank you for the clarification. I’ve attached an image of the messages being picked up in MIDI-OX. Please let me know if you need anything else! I’ve attached an image of the messages being picked up in MIDI-OX. Please let me know if you need anything else! ...but why the pedal message is also on channels 9~16 (but not 4~8) is not at all obvious, at least to me. Out of curiosity, do the PB and Mod wheels also output their messages on so many channels? MIDI-OX can filter various MIDI messages. You could select Control Change, the CC#, and which channels to apply it to. Click Options > MIDI Filter. Offhand I don’t know in what order MIDI-OX does filtering and mapping, so I’m not sure whether CC#7 or CC#4 should be filtered. I’ll leave that for you to determine. It should be possible to look at the Monitor-Output screen and see the result. Upon testing it appears that the Pitch Bend and Modulation wheels both transmit data over channels 1, 2, and 3. For some reason, despite disabling channels 2 - 16, and trying to filter both CC#7 and CC#4, the issue persists. The FC7 continues to transmit too much data - causing the system to lag up. Could you move the FC7 pedal just a little, and post two captures of the MIDI-OX Monitor-Output screen, one with CC#4 and a second with CC#7 filtered? I’ve attached the images you requested below. 1) The pedal channel 1 message is being remapped to CC#4, as desired. 2) The CC#11 message for the other channels is being passed through. Try filtering CC#11 for all those channels. 3) All of the messages being output are doubled, and the bottom left of the screen indicates “2 Output Devices”. Could you check the “MIDI Devices” and see if more than one “MIDI Output” has been selected? If you resolve points 2 and 3, the Monitor-Output should just indicate CC#4 messages, and a single output for each data value, when the pedal is used.